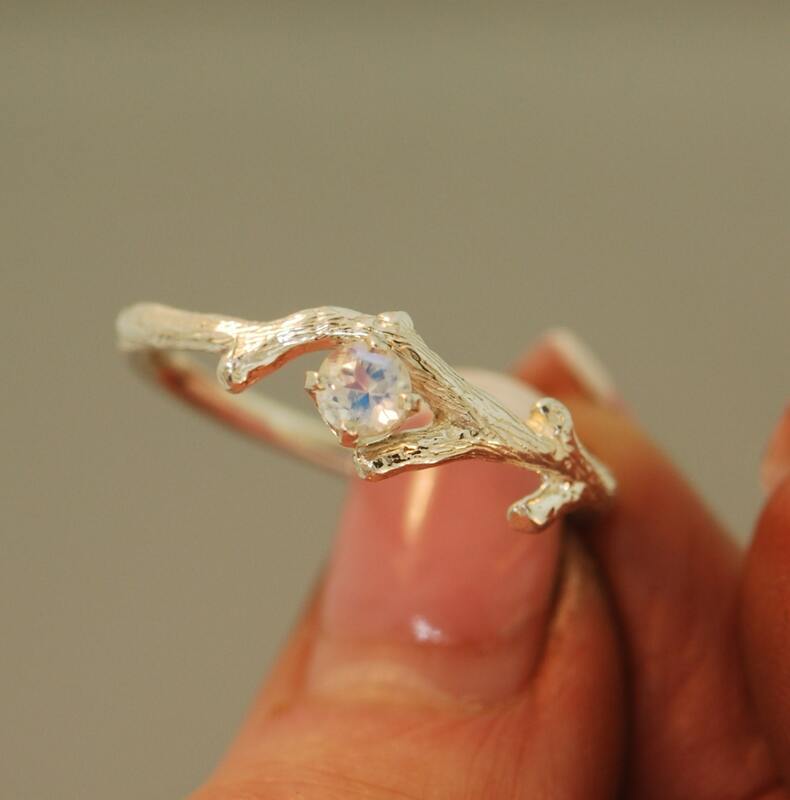 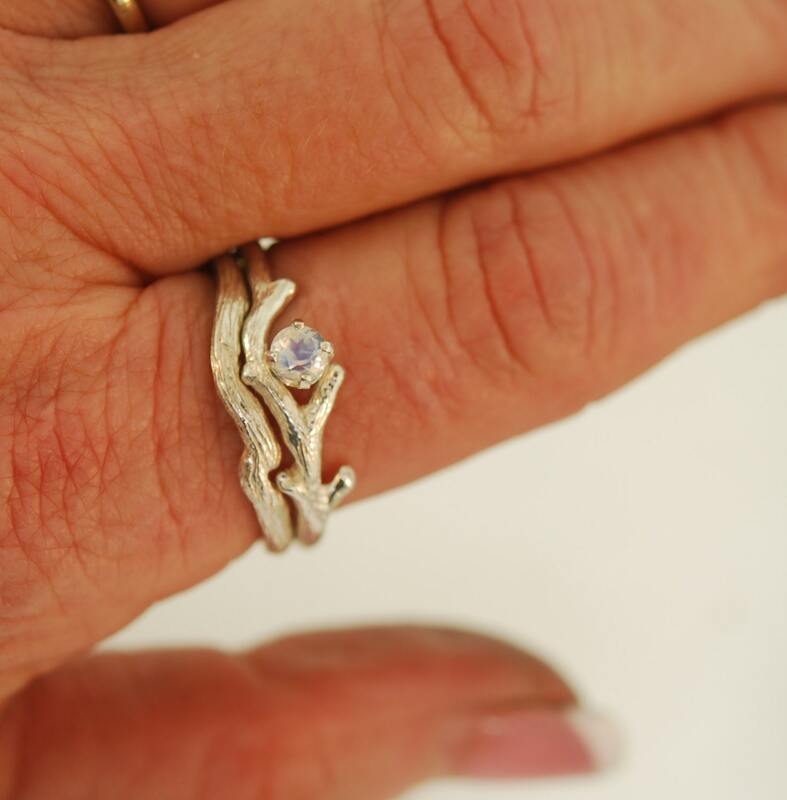 This alternative wedding set features a very colorful 4 mm faceted rainbow moonstone. 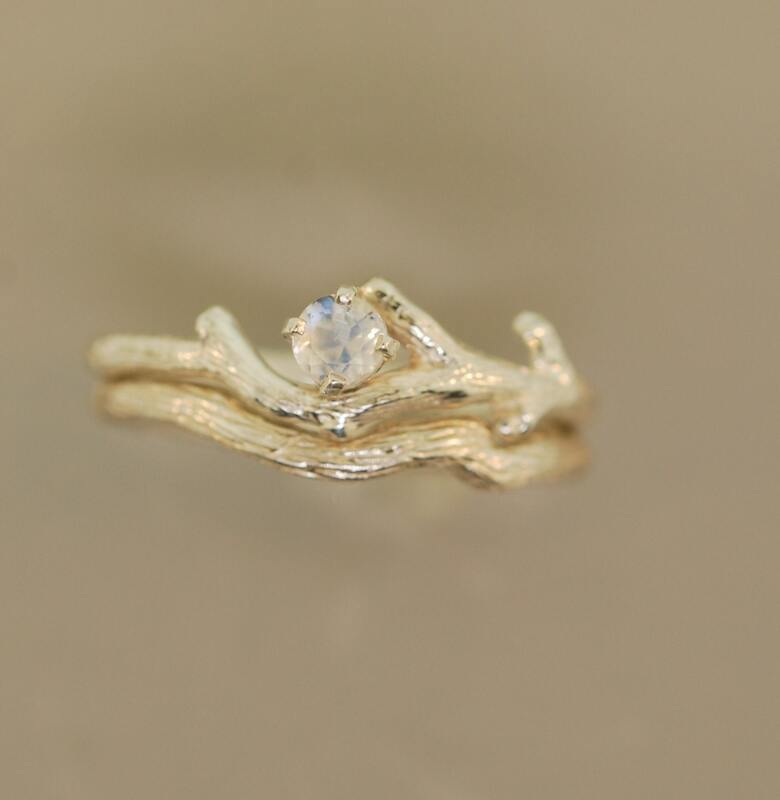 This listing is for both of bud branch rings in the photos. 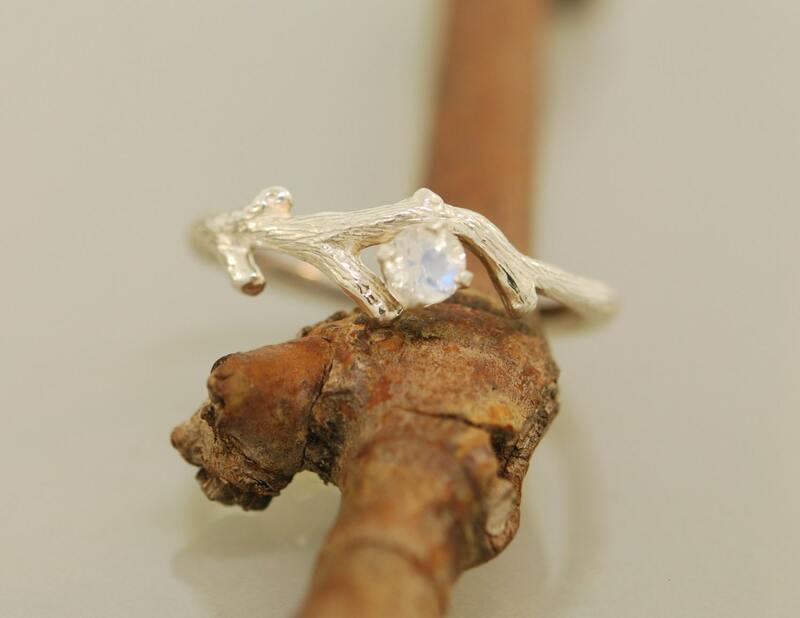 The moonstone measures 4 mm , the bud branches are around 2 mm .